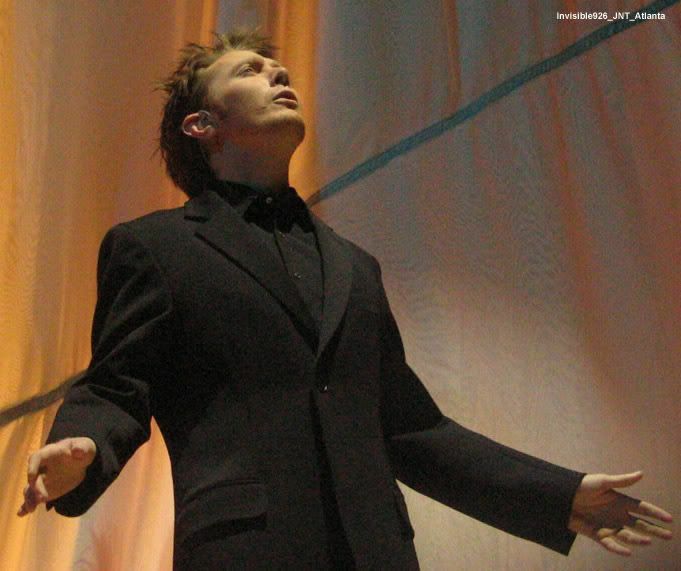 For many years, Clay Aiken toured throughout the United States during the holiday season. Called The Joyful Noise Tours, Clay presented a program that was filled with joy and was a beautiful way to celebrate the holidays. One of the most breathtaking moments of the concerts was actually the encore from the early days of touring. Good News is a dramatic song which conveys the true meaning of Christmas. Good News was written Rob Mathes, a 47-year-old composer, arranger, conductor, producer, songwriter, pianist and guitarist. Besides writing beautiful music, the multi-talented Mathes has written arrangements for Jay-Z, Elton John, Mary J. Blige, Tim McGraw, Lou Reed, Beck, Chris Botti, Sting, Yo-Yo Ma, Renee Fleming, Luciano Pavarotti and more. In 2012, Mathes received an Emmy in the Outstanding Music Direction category for his work with The Kennedy Center Honors, a special that airs on CBS each holiday season. He also was the musical director of We Are One: The Obama Inaugural Celebration at the Lincoln Memorial in 2008. Good News was on an album by Rob Mathes called William The Angel. In 1993, the country singer, Kathy Mattea, included the song Good News on her holiday album, titled Good News. Clay’s performance of Good News was exquisite and brought many people to tears. The following video was recorded in Louisville during the 2005 tour. I would imagine you will just have to watch it more than once. I certainly would love to hear a professional recording of Clay performing this beautiful song. Did you ever hear Clay sing this song live at a concert? This song brings tears to my eyes! Clay's performance does that to me; so much heart and soul in his voice! I saw Clay sing Good News in concert in Cincinnati many years ago. It was hard to decide whether to stand up and clap or sit in silence after a prayer. So beautiful! This is beautiful! It is a true Christmas song. Thank you for posting this. Good News was always one of my favorite songs that Clay has sung. I would love to hear him sing it again. Thank you for posting the gorgeous pictures and video. I can always count on CANN to give me a gift in the morning. I had never heard this song before seeing Clay sing it in concert. It brought tears to my eyes and chills down my spine to see him sing it live……..and in the vids! Perfection and so emotional! Yes I have heard Clay sing this song Clay was amazing My son John sang with Clay live on stage in 2004 he was only 6 years old and was granted a wish from the make a wish foundation, John sang " This is the night" with Clay. " It was through the Make A Wish Foundation" He has a Christmas Concert every year at his school and every year John sings one of Clays Christmas songs. This year he sang " Oh Holy Night" He got a standing ovation.If you want to see it go to my facebook page at Kathy ODonnell Martin and you can see it, Please let me know how you like it. I remember seeing John on the stage with Clay! I will make sure I go to see your FB page to see John! Thanks for posting! What a beautiful song and it is perfect for Clay. Thank you for posting the pictures and the video. Do you think Clay sing again. He is so talented. Thank you for posting this video. It actually made me weep. Why is Clay turning away from music? He is so talented! The Christmas concert I attended did not have this song. The very early concerts experimented I think. It is a lovely song and perfect for Clay. I think he needs to put out another Christmas Album.!!!! Thanks for the info and the video. ❤️ Merry Christmas and UNCONDITIONAL love for you Clay. Error: Error validating access token: Session has expired on Tuesday, 21-Aug-18 16:13:01 PDT. The current time is Friday, 26-Apr-19 00:52:47 PDT.